To fit height up to 137cm. Ages 5-10years. 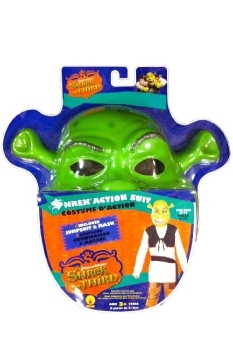 Shrek is the king of the swamp and a classic character for dress ups! Woo your very own Princess Fiona in this cute Shrek Blister costume, perfect for your mini ogre!